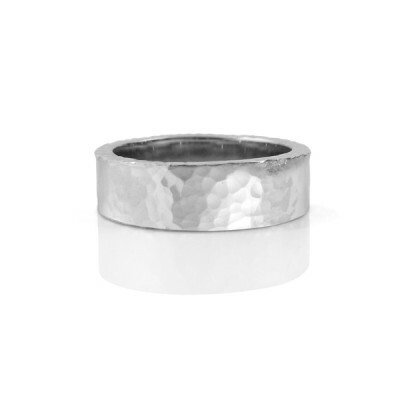 Hammered wedding bands already have bumps and dings that you add to with everyday wear. 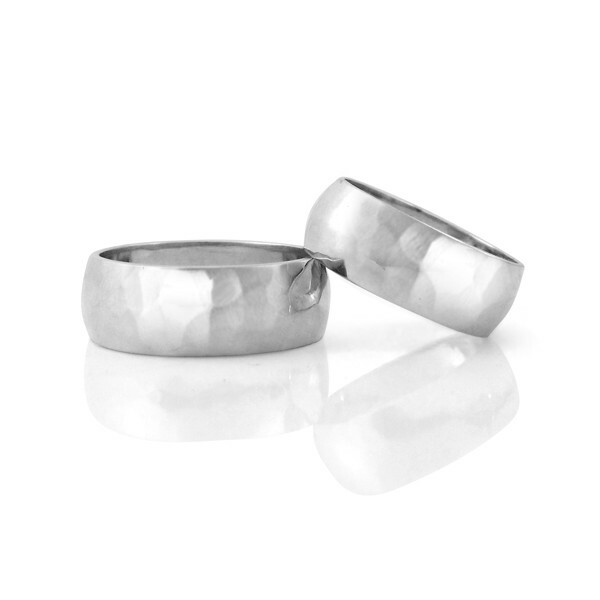 They have character and are extremely durable. 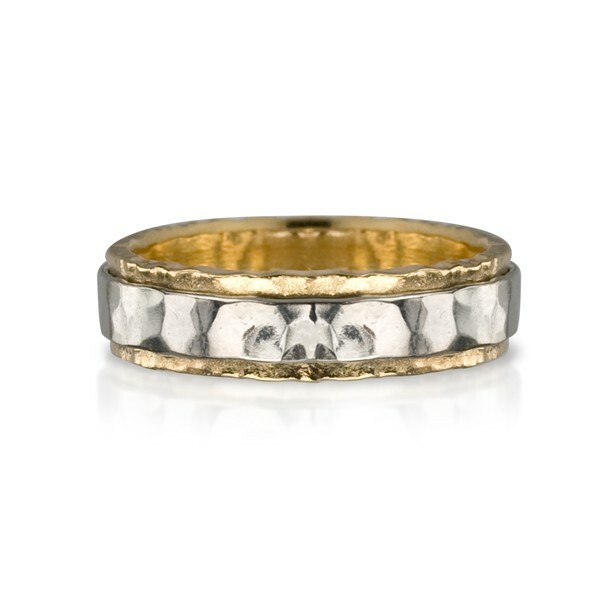 The photos show a flat hammered band with the edges hammered, a half-round hammered band, and a two-tone hammered band in white and yellow gold. Do you have an idea for a custom hammered wedding ring? We'd love to hear about it!